of the Expanded Prosserman JCC on Sherman Campus. Welcome to the expanded Prosserman JCC! It is here! With the additional facilities and services, we are excited to bring to the area a vibrant and welcoming Jewish environment that encourages people to lead engaged lives of meaning and purpose. The Prosserman JCC will be a dynamic hub of engagement, reflective of the neighborhood it serves, and it will transform people and the community through meaningful relationships and experiences. This state of the art JCC will be a crown jewel of the JCC movement. It will ignite a spark in everyone that walks in the doors, regardless if they are affiliated or not yet affiliated with our community. It will ensure each person preserves, discovers and enriches his or her Jewish life. This is an incredible moment. Stay tuned. 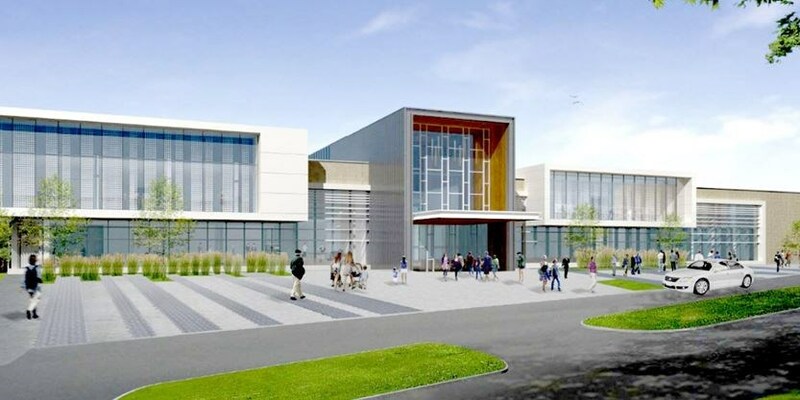 Fifteen years after UJA Federation of Greater Toronto embarked on a plan to rebuild its Toronto and York Region campuses, the second phase on the Sherman Campus in North York is finally under way. The second phase, which comes with a $72-million price tag, recently broke ground on the Sheff Family Building situated on the 27-acre campus on Bathurst Street, north of Sheppard Avenue, with completion set for December 2019.